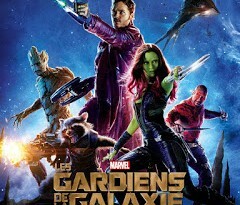 Before the release of the Chinese blockbuster, Young Detective Dee: Rise of the Sea Dragon by Tsui Hark, here’s one of the geek blockbusters of the summer: Guardians of the Galaxy by James Gunn. Originality of the plot: the usual Marvel supermen usually called to save the world, and most of the time the universe, are replaced by a bunch of off-the-law loosers. Want to go on board? Let’s go!